Evening services at 7 p.m. on Monday and Tuesday at Hillel Lodge and Wednesday and Thursday at Daniel’s home; Tuesday to Thursday at Ronald's home. Dear Levine Family, With my sincere sympathy on the loss of your beloved Shirley. She was fun to exercise with and a joy to know. May your wonderful memories comfort you at this sad time. Rest in pease dear Shirley. Evelyn. Dear Family My most sincere condolences on the loss of 2nd or 4th cousin Shirley. We spent many pleasant times in our youth and have wonderful memories of both Seymour and Shirley. Warm, compassionate and generous. To the Levine family. I was very sad to see that your mother passed away. I knew her from the Y. Everyone I spoke to at the Y has fond memories of your mother. She was always there, with a smile and a positive attitude. May your memories give you comfort in this difficult time. Bde. To the Levine family:We were so saddened to learn of Shirley's passing.As neighbours for many years on Hingston Avenue, we have very fond memories of our times together.Our deepest condolences at this very sad time. I was so sorry to hear of Shirley’s passing. I have so many wonderful memories of times spent in her home with Seymour and all the ‘kids’, particularly at Passover. Our family’s thoughts are with you at this difficult time. My sincere condolences on the passing of your Mom. I only have the warmest memories of Shirley. My parents Clara and Lindley Shector always enjoyed their friendship with your parents. I will always remember their visiting my parents on their tandem bike. Deepest sympathies on the loss of your beloved Mother. Your late Father and her used to give my late Mother lifts to Ottawa when they came. She always spoke so highly of them both and were Synagogue friends for years. Baruch Dayan Ha’Emet. Both your mom and your dad will be remembered fondly. May all of your memories be good ones. My sincere condolences to the family on the loss of your mother/grandmother. My sincere condolences at this sad time. Shirley and I proudly shared our family stories at aqua fitness at the Y .
Dear Debbie + Jim + and all the members of the Levine Family. Or sincere condolences on the loss of the Matriarch. May the many wonderful memories help assuage the pain of your loss. Rest in Peace Shirley. Dear Mark & Hinda, and entire extended Levine family. I am so very sorry for your loss. I will always remember Shirley’s sweet smile whenever she welcomed me into the Levine home on Hingston Avenue, in my West Hill HS days. Throughout many decades, I’ve admired Shirley from afar, for her commitment to swim daily at the Y In fact, Shirley was, and will continue to be, my inspiration to exercise daily. May your fond memories of her comfort you at this time. My condolences to the family. Shirley was the volunteer bingo-caller at the Y for many years. She had a unique style, all her own. My condolences to the Levine Family. I enjoyed the conversations I had with Mrs. Levine in the locker room at the Y and discovered that we were neighbours on Hingston. She told be stories of the simchas she hosted in that home and was so sad to let it go. She loved you all so much. She had a very special light and I am so sorry to read of her passing. I have very fond memories of the many years that Shirley and I worked together at the Reddy Memorial Hospital. She was a super dedicated nurse and a wonderful person to work with. To the Levine Family, my heartfelt condolences on the loss of your dear mother and grandmother. She was a beautiful woman, inside and out, kind and lovely. It was an honour to have known her. ...fond memories of all the time i spent with your family...i am sorry for your loss...your mom made the best kraft dinner...adding an egg to the top!!! thinking of you all. Peacefully, in Ottawa, on Friday March 22, 2019, in her ninety-second year. Beloved wife of the late Seymour Levine for sixty-nine years. Devoted mother and mother-in-law of Mark and Hinda Levine, Ronald Levine and Sybil Judah, Deborah Levine and James Farrow, Daniel and Rhonda Levine. Cherished ‘Grandma Shirl’ of Yonina and Adam, Oren and Jessica; Michael, Amanda, Rachel; Benjamin and Sara, Jonathan; Samuel and Karli, Zachary and Evelyn, and Shelby. Proud great-grandmother of Yael, Ayla, and Jacob. Dear daughter of the late Louis and the late Chaya Bettel. Shirley will be sadly missed by all who knew and loved her. Funeral service from Paperman & Sons, 3888 Jean-Talon St. W., Montreal, on Monday, March 25 at 12:00 noon. Burial at the Shaare Zedek Congregation Section, Eternal Gardens Cemetery, Beaconsfield. Seudat Havra’ah at the Hillel Lodge, 10 Nadolny Sachs Private, Ottawa, at approximately 4:30 p.m. Shiva continues Tuesday at Hillel Lodge and Wednesday, March 27 to Friday, March 29 at Daniel’s home, 57 Castleton St., Nepean. Dr. Ronald Levine will be sitting shiva at his home in Toronto at 250 Warren Rd. commencing Tuesday evening at 7:30 p.m. through Friday afternoon. Evening services at 7 p.m. on Monday and Tuesday at Hillel Lodge and Wednesday and Thursday at Daniel’s home. 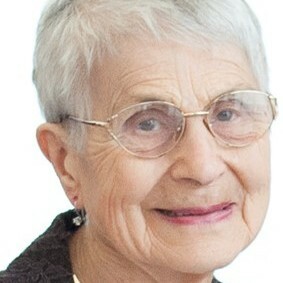 Contributions in Shirley’s memory may be made to the Cummings Jewish Centre for Seniors, (514) 734-1825, or to the “Levine-Ratner Fund” c/o the Hillel Lodge Long Term Care Foundation, (613) 728-3900.